2018 and Tiger Woods is the winner of a PGA tournament. What a great world we are living in. Of course it came at our expense. 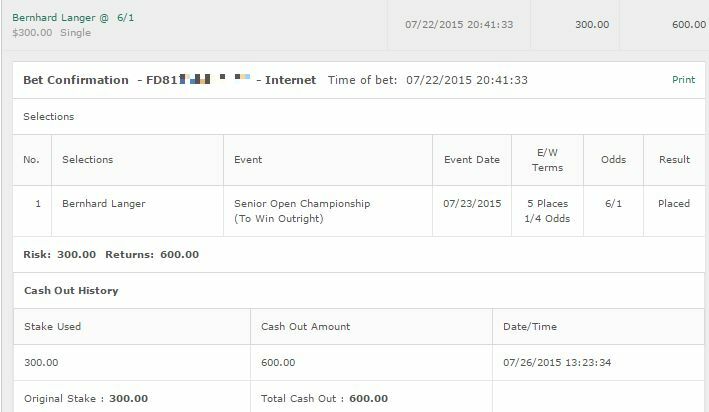 We had a 1u play on Justin Rose and if it wasn’t for Tiger, I’m certain Rose would have taken it down. He went into the final round a couple of strokes behind Tiger and you could just tell his game was off. Disappointing but it happens. 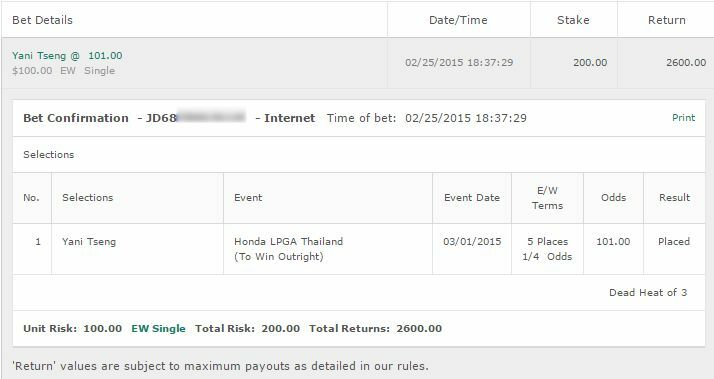 Frustrating I’ve backed Tiger a couple of times over the last few months but not this one. When I ran the metrics that I usually run he was nowhere amongst them. 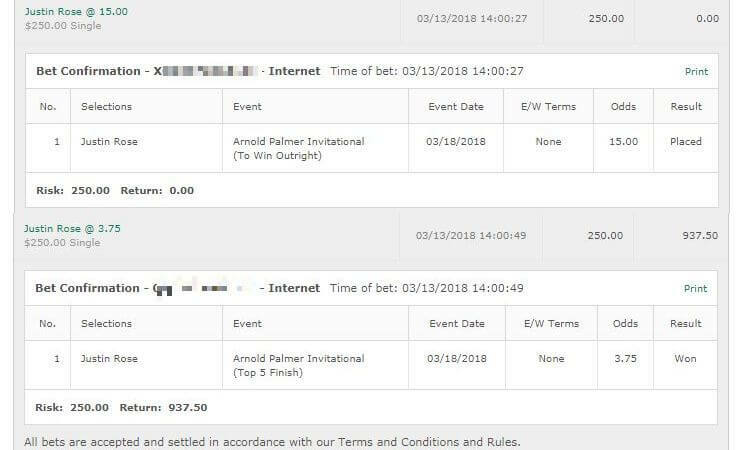 However after writing up the tips and before posting them, I even took a special look at Tiger just to see if I could justify backing him. Even for just 1/8 of a unit. Fact is I couldn’t. I wanted to justify betting Tiger simply because I enjoy watching him and cheering him on but mathematically it just wasn’t making sense. Despite the win, I just don’t think it would have been an +EV play. Either way – awesome to see and it was great going to the sports bar downtown and seeing it absolutely packed for Tiger. I’m really glad I took that final look at Tiger even though I didn’t back him – I would have been kicking myself for overlookimg him. Dead heat rules made that a disappointing return but oh well. Europe to Win: 5/4 This really seems as 50/50 as it gets. If you look at the betting history it’s 50/50 in terms of the favourites winning or losing going back the last 20 years. Now in saying that the favourite has won 3 of the last 4 Ryder Cups. But I think this is really close, Europe have a lot of guys playing well, and I feel they fit this course better. Top European Rookie: Tommy Fleetwood 11/5 Won at this course recently and is in excellent form. A very experienced golfer and I think he can be the Top European Rookie. Top American: Dustin Johnson 9/2 I just feel this course suits him well and despite a few personal issues he managed to kill it at the Tour Championship last week. Think he is coming in hot and will be a big player here. 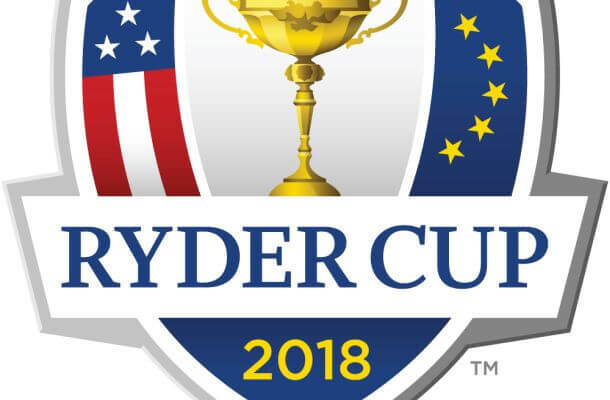 Top European: Rory McIlroy 9/2 Both him and Rose are worth being joint favourites and both are excellent performers in the Ryder Cup. I’m a big concerned about the way Rose finished up on Sunday though and I think he may struggle. Rory I think will really want this one and will perform well. That’s all I am going for. If you have bets feel free to post them in the comments below.